A floral heart to brighten your day! Just a reminder that Valentines’ Day is only a few short days away! …What’s on the agenda for you on this special day? 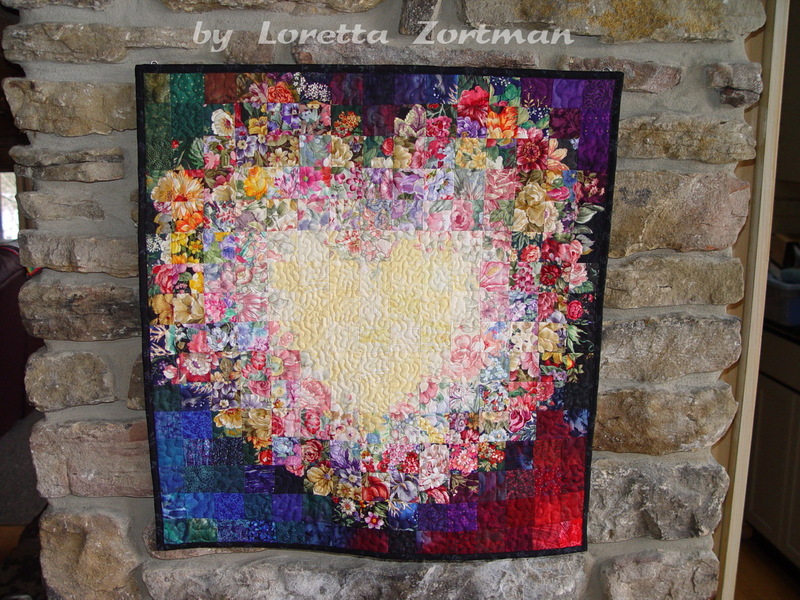 For those of us who are looking forward to Spring in a big way, I recently made this quilted wallhanging of a floral heart out of 2-inch squares of fabric. It’s called Butterscotch Heart, because of the warm yellow fabrics I chose for the center. You can find this for sale on Etsy under my shop called Color Me Country, along with other floral watercolor/impressionist style quilts as well. 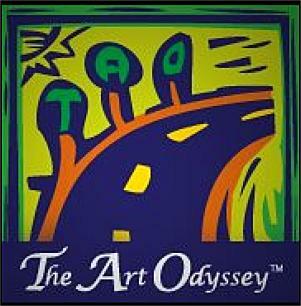 Watercolor impressionist art quilts are made with a color pallet made up of a whole slew of different fabrics. 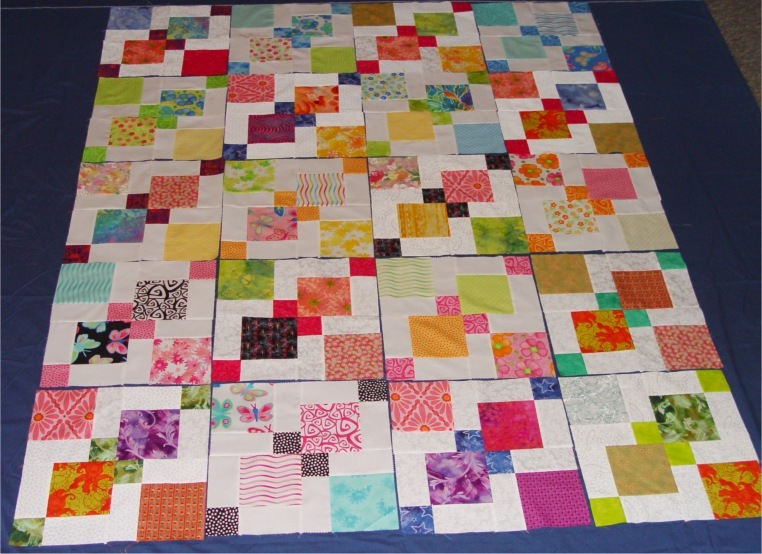 First, I have to cut fabric into 2-inch squares, then I put the various squares up on my design wall and arrange, re-arrange, re-rearrange, flip, switch, swivel, turn, replace, and replace, and replace them until I’m happy with what I see. I usually like to “live” with the piece like this for a day or so on my design wall, just pondering what I see to make sure I’m happy and satisfied with everything. The danger with waiting at this stage of creation is: A little breeze, a mischievous cat, small children, or a well-meaning visitor can destroy the piece in just seconds flat! 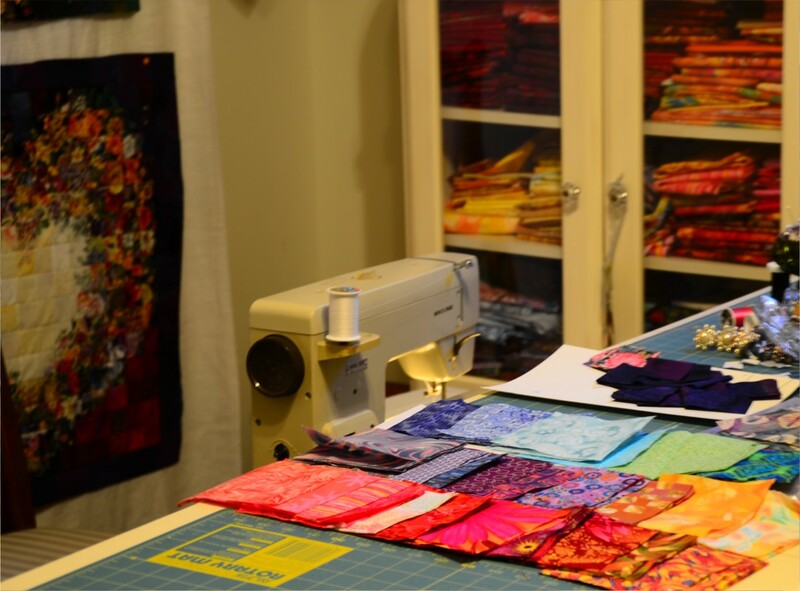 For instance, I learned firsthand, don’t place your design wall in direct line with the output of an air conditioner vent — I did, and it blew all my fabric squares off the wall onto the floor. Anyway, once I’m ready to “commit”, I then sew the squares together, and it’s bound and quilted, with a hanging sleeve built in the back for ease of hanging. Viola!!! 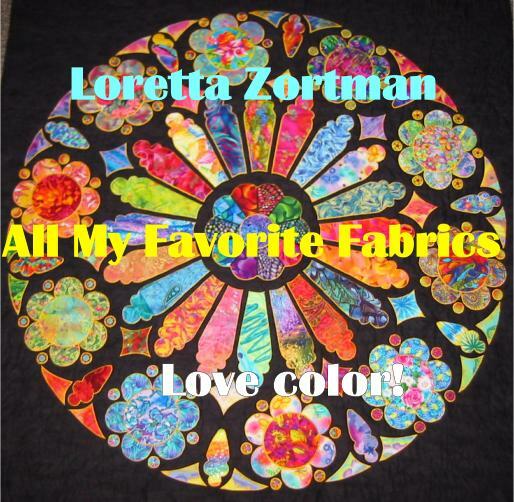 This is a great Valentines’ gift, Mother’s Day present, or just a little unique something for that person who loves gardening, flowers, bright colors, happy fabrics, or just to cheer up a corner of a wall. Cheers to the arrival of Spring-like weather!!!! If you’d like to book a cabin rental, just let me know…870-491-5151. As the owner of a small business, Mockingbird Bay Resort, I totally appreciate the folks who choose to spend their hard-earned money here with us. So on this beautiful Thanksgiving Day, let me just say a big heartfelt THANK YOU to our awesome guests. Without you, we obviously would not be here. I guess, I’m just trying to remind y’all this holiday season to look for a small business and spend your money there instead of somewhere else. The power of Local…and Community…and unique independent cottage industries is really cool — so instead of shopping at a giant big-box retailer or franchise chain store, think small. Oh. And as much as I do appreciate American Express for all they’ve done to promote Small Business Saturday and bring awareness to this issue…If you’d really like to help out the little guy and small Mom and Pop shops, then don’t pay with a credit card at all. Pay with cash. That’d really help. You are currently browsing the archives for the Jewelry Making category.